Hector Montes received his Ph.D. from the Complutense University of Madrid in 2005. He is currently with the Field and Service Robotics Group of the Centre for Automation and Robotics CSIC-UPM, Madrid. He is also Associate Professor in the Faculty of Electrical Engineering at the Technological University of Panama. He specializes in electronics, signal processing, artificial vision, measurement systems, sensors, force and torque control, climbing and legged robots, and mobile robots. He has special interest in human-robot interaction and in biped locomotion. He has been working in the ROBOCLIMBER project as well as in several other European-Commission-funded projects like Rower 2, CROPS and TIRAMISU, the last two within the 7th Framework Programme. 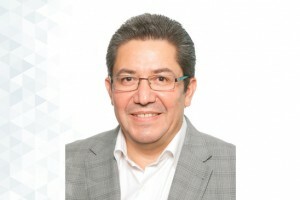 In addition, he has participated in several projects with the Technological University of Panama, where he has been Principal Investigator in some of them. Dr. Montes has received several awards and honours by the Technological University of Panama, highlighting among others the following "Contribution in R&D and Innovation Award", "Spirit of Overcoming Award", and “Academic Excellence Award”. Also, he is member of the National System of Researchers of Panamá. Besides, Dr. Montes has received the accolade of “Highly Commended Award” for a paper by Emerald Literati Club 2005 (UK). An experimental platform for autonomous bus development. Energy efficiency hexapod walking robot for humanitarian demining. Industrial Robot. Vol.44. Number. 4. Pages: 457 - 466. Force control strategies in hydraulically actuated legged robots. Intelligent multisensor prodder for training operators in humanitarian demining. A new approach for combining time-of-flight and RGB cameras based on depth-dependent planar projective transformations. Sensors. Vol.15. Number. 9. Pages: 24615 - 24643. Vis-NIR, SWIR and LWIR imagery for estimation of ground bearing capacity. Sensors. Vol.15. Number. 6. Pages: 13994 - 14015. Multisensory system for fruit harvesting robots. Experimental testing in natural scenarios and with different kinds of crops. Sensors. Vol.14. Number. 12. Pages: 23885 - 23904. Combination of RGB and multispectral imagery for discrimination of Cabernet Sauvignon grapevine elements. Sensors. Vol.13. Pages: 7838 - 7859. Arquitecturas de Percepción y de Actuación para la Automatización de Vehículos Rodantes de Grandes Dimensiones. I+D Tecnológico. Vol.8. Number. 2. Pages: 30 - 39. Catadioptric panoramic stereovision for humanoid robots. Robotica. Vol.30. Pages: 799 - 811. Design of a training tool for improving the use of hand-held detectors in humanitarian demining. Industrial Robot. Vol.39. Pages: 450 - 463. High-resolution indirect feet-ground interaction measurement for hydraulic-legged robots. IEEE Transactions on Instrumentation and Measurement. Vol.58. Pages: 3396 - 3404. Método para el registro automático de imágenes basado en transformaciones proyectivas planas dependientes de las distancias y orientado a imágenes sin características comunes/A non-feature based method for automatic image registration relying on depth-dependent planar projective transformations. DESARROLLO DE LA INSTRUMENTACIÓN DE UNA SONDA INTELIGENTE PARA EL ENTRENAMIENTO EN LA DETECCIÓN DE MINAS ANTIPERSONALES.